The Environmental Justice Team at Lone Star Legal Aid welcomes you to the seventh edition of Environmental Justice News. We’re keeping communities updated on our team’s ongoing environmental law efforts throughout our 72-county service area. In January 2018, a notice of application for a proposed anhydrous ammonia plant in Texas City was quietly announced on the back pages of the Galveston Daily News by the state regulatory agency, Texas Commission for Environmental Quality (TCEQ). If approved, Gulf Coast Ammonia, LLC would be allowed to discharge up to 2.2 million gallons of industrial wastewater per day directly into the lower Galveston Bay in an area just south of the Texas City Dike. 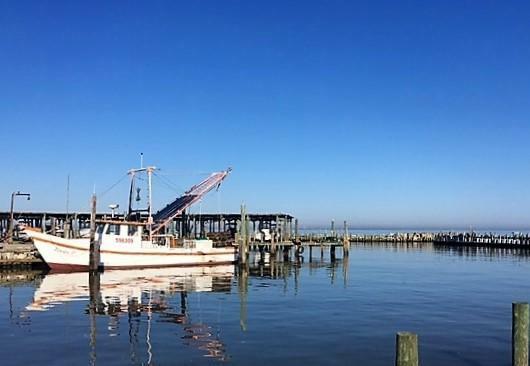 Represented by LSLA’s EJ Attorney Bryan French, shrimp boat captain Roy Lee Cannon is concerned about the impact such a large amount of wastewater could have on the sensitive ecosystem of the Bay. 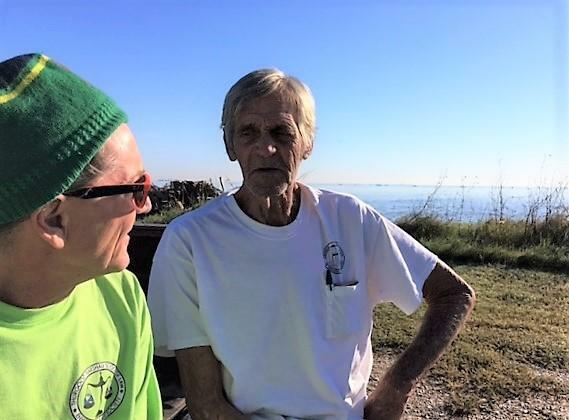 A veteran shrimper and fisherman with a lifelong love of marine life, Cannon has been trawling the lower Galveston Bay for brown shrimp and bait fish for 30 out of his 44 years as shrimp boat captain. Cannon says the lower Bay hosts a significant nursery and habitat for brown shrimp, where the young shrimp enter the estuary in the spring of each year. Sharing his deep knowledge of Galveston Bay’s aquatic life – something even marine biologists have been known to consult him on - Cannon says he consistently finds the first brown shrimp of the season just south of Shoal Point near the Texas City channel - an area that would be directly impacted by the large inflows of wastewater from the proposed ammonia plant. Despite declines in the US shrimp population over the past several decades, the Gulf Coast remains the largest contributor of domestic shrimp produced, with the Gulf Coast catch, particularly Texas and Louisiana, accounting for 60% of all US shrimp harvested. In 2017, Texas shrimpers harvested 36.6 million pounds of shrimp. While Galveston Bay has proven resilient after natural and human disasters, Cannon has begun to notice some significant changes to aquatic life in the past few years as salinity and tides have become altered by human activity. Increases in the volume of wastewater and storm water due to infrastructure changes are affecting the Bay, as more concreted bayous, more dredging and widening of channels, and increased flooding events related to climate change have contributed to ever larger volumes of fresh water and pollutants flowing into the Bay at rates that can overwhelm the sensitive ecosystem. Of the many environmental and biological factors affecting shrimp populations entering the estuaries, salinity is known to greatly affect the more sensitive brown shrimp, which cannot survive in freshwater. With help from LSLA’s French, Cannon filed public comments and a request for a contested case hearing on the wastewater permit through TCEQ. The agency has granted Canno n a contested case hearing, with st atus as an affected person whose livelihood would be impacted by the permit decision. As a result of LSLA's advocacy, Gulf Coast Ammonia has decided to suspend its wastewater permit application, and the company is now considering other options for the proposed facility that would negate the need for a wastewater permit. In addition the TCEQ wastewater permit, a second, additional permit for the Gulf Coast Ammonia facility has been under consideration with the US Army Corps of Engineers (USACE) that includes plans for pumping the anhydrous ammonia via a pipeline 4-6 feet beneath the Texas City channel in order to load tankers with the chemical from an offshore dock located within the Texas City channel. Cannon filed comments with USACE on the permit in April of 2018 and received acknowledgement of his comments from USACE in August. Cannon is awaiting further response from USACE in response to his continuing concerns about Gulf Coast Ammonia's proposed operations. “We need to be concerned about the future of the environment, because if we aren’t concerned, there might not be a future,” Cannon shared. For additional information about Gulf Coast Ammonia’s plans, see Houston Chronicle reporter Nick Powell's story here , and a related Houston Chronicle Op Ed here . On October 26th, the US Army Corps of Engineers published a 442-page Draft Environmental Impact Statement (Draft EIS) for the Coastal Texas Protection and Restoration Feasibility Study, also known as the Coastal Texas Study. Initiated by USACE in November 2015 in partnership with the Texas General Land Office (GLO), the Coastal Texas Study will review the feasibility of the construction of multiple coastal storm risk management projects and ecosystem restoration projects that together form a strategy for providing multiple lines of defense against storms along the Texas coast. 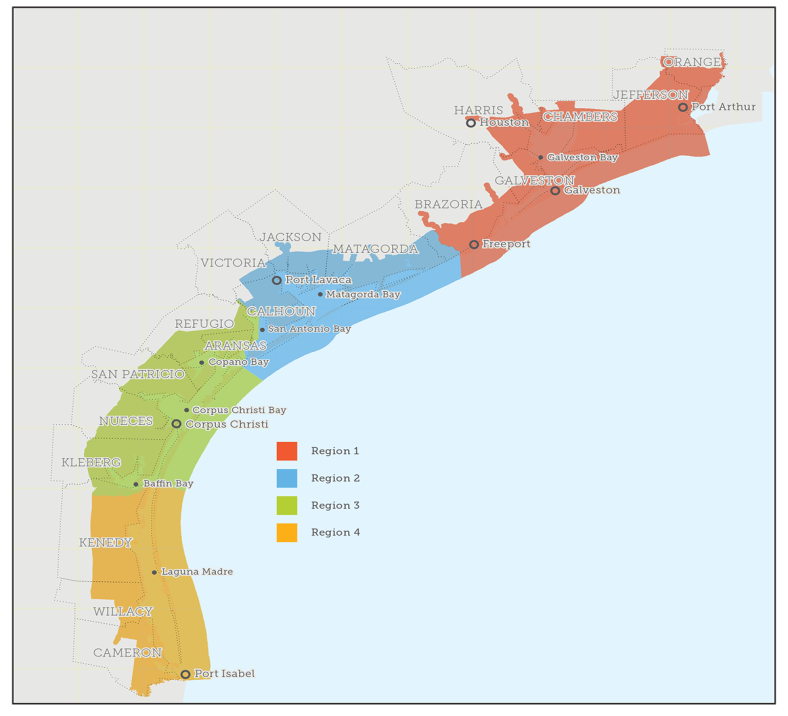 The project selection process resulted in six coastal storm risk management options and nine large-scale ecosystem restoration projects currently undergoing engineering, economic and environmental analyses including a review under the National Environmental Policy Act (NEPA) to determine their feasibility for Congressional consideration and funding. Under NEPA, an opportunity for public engagement in the decision making process is required. Because the proposed coastal storm risk management projects will likely have environmental impacts, the USACE prepared the Draft Environmental Impact Statement (Draft EIS). The Draft EIS must describe the effects (both positive and negative) of proposed flood risk management projects on the environment, including existing conditions of the natural and physical environment and the relationship of communities to that environment. The Draft EIS should also consider impacts of an action on land, water, air, structures, living organisms and environmental values as well as the social, cultural and economic aspects of a site. As a part of the environmental review process, the Draft EIS will outline the proposed tentatively selected plan and compare it with several alternatives in order to determine the preferred plan. 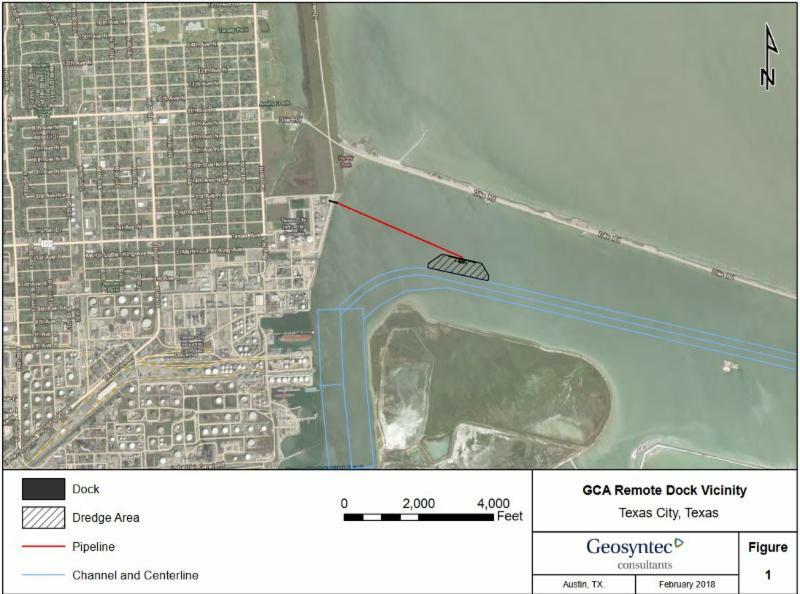 The USACE indicated its support for the $31 billion Texas Coastal Spine project, also known as "Ike Dike," as its preferred alternative for storm surge protection along Galveston Bay. 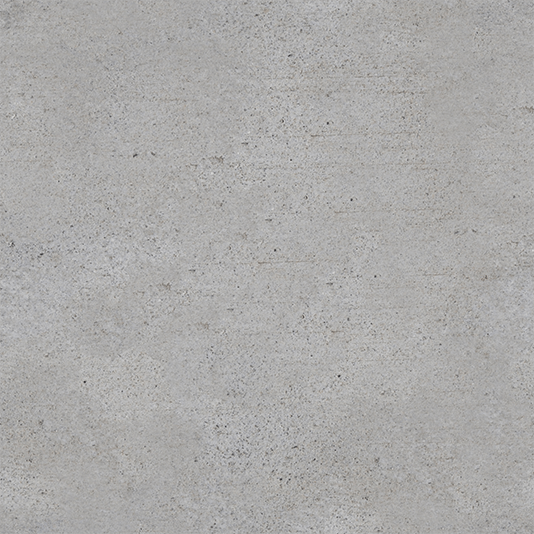 Described in the Draft EIS, the USACE is proposing a 70-mile long concrete barrier that would run the length of the coast from north of High Island along the Bolivar Peninsula and Galveston Island all the way to San Luis Pass, incorporating the existing Galveston seawall. In addition, a levee would be constructed around Galveston Island to protect the bayside of the island, and a system of storm surge gates would be placed at the entrance to Galveston Bay in order to protect coastal residents from future storm surge events, like those that occurred during Hurricane Ike. 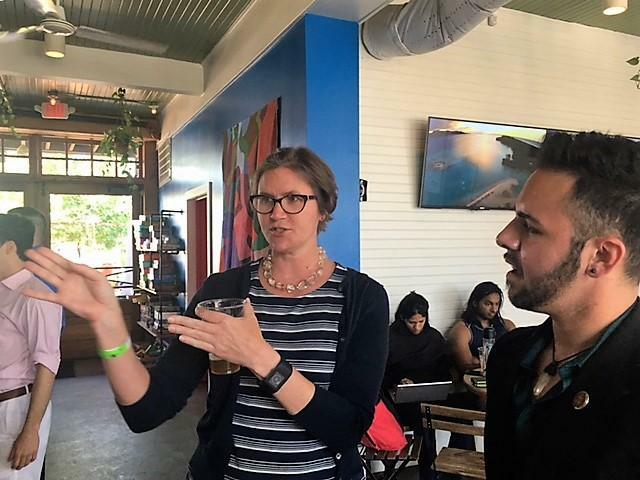 Air Alliance Houston recently presented a hands-on workshop and first glance at an innovative environmental mapping tool called BREATHE (Bringing Research, Education, and Advocacy Together for Houston's Environment). 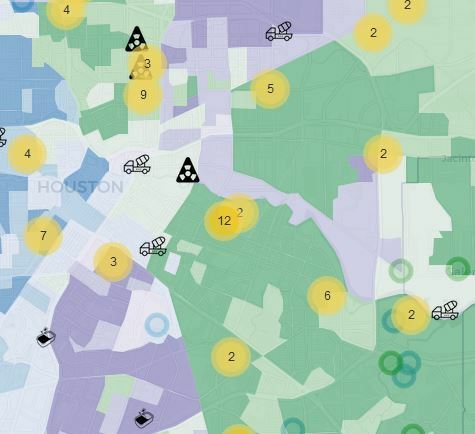 Developed with Houston-area community members, researchers, advocates and policy-makers in mind, BREATHE is a clearinghouse of publicly available data that can be mapped with one easy-to-use dashboard, minimizing the time needed to gather critical information about air quality and environmental hazards. LSLA paralegal Sal Giovanni Solis and fellow EJ team member and attorney Colin Cox had an opportunity to try out BREATHE at the recent workshop. Enthusiastically describing the innovative tool as a "one-stop shopping" boutique, Solis shared that, “Although much of the data presented in the BREATHE tool is publicly available, the relevance of the individual data sets can be difficult to conceptualize without the availability of a clear spatial reference." By displaying data in a layered map format, BREATHE creates customized, easy-to-understand environmental profiles that are relevant to the user’s areas of interest. The program provides a drop-down list for mapping environmental hazards and other environmental data such as Superfund Sites, concrete batch plants or toxic releases, while the "Community Locations" tab allows the user to map the number and proximity of schools, churches, daycare centers, libraries or hospitals to the environmental hazards of interest. Customized boundaries can be set from a drop-down list of parameters including zip code, school district and political district. BREATHE can also produce detailed, easy-to-compile reports that can be exported in CSV format through a "Detail Summary" tab. In addition, users can request to receive Weekly Air Permit Reports, an email distribution list notifying subscribers about current TCEQ air permits. Created by Air Alliance Houston with January Advisors , the BREATHE tool is currently available to the public for beta testing. Air Alliance Houston welcomes you to provide feedback on the tool's user-friendliness, accessibility and functionality, as well as suggestions for refinements or features you'd like to see added. "We see this as BREATHE 1.0,' said Executive Director of Air Alliance Houston Bakeyah Nelson, PhD, 'It's something we will continue to build upon for future enhancements." 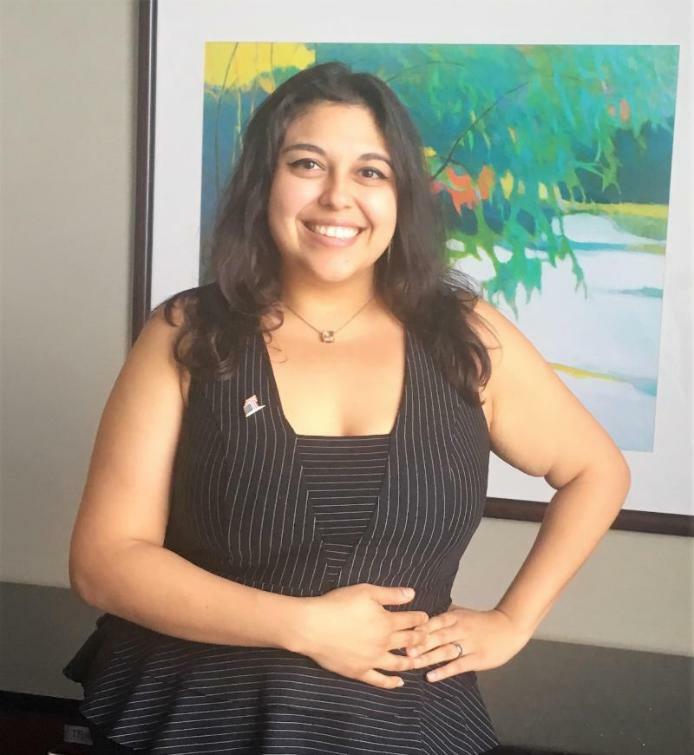 During her time with the EJ team, Aylia Naqvi has become interested in how deed restrictions can be used as a tool to help communities restrict businesses from conducting commercial activities that can adversely affect the health of residents or the use and enjoyment of residents' property. 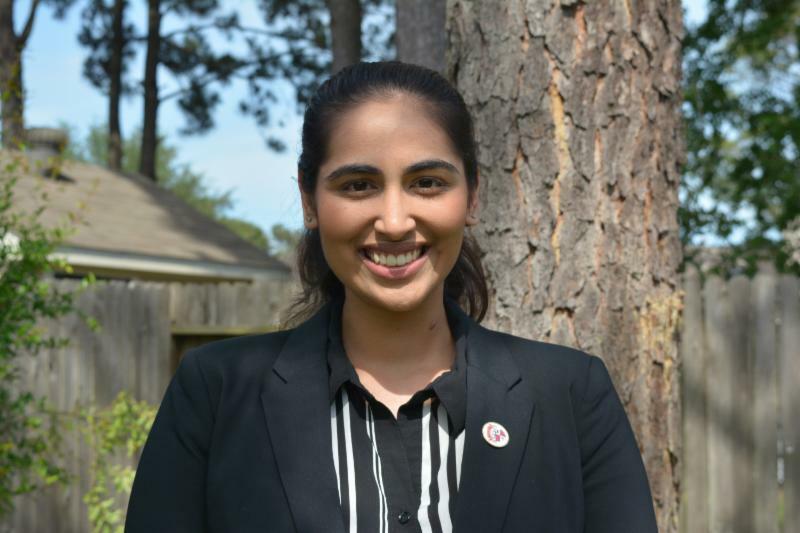 "It was interesting to draft deed restrictions according to the clients' concerns,' shared Naqvi, 'In this particular case, the primary concern was noxious commercial operations located in a residential neighborhood. Many Houston communities are plagued with businesses such as concrete batch plants or concrete crushing facilities setting up right next to residential homes. Deed restrictions can help to prevent that from happening in cities like Houston, where there is no zoning." Charles NeSmith’s favorite project so far in his time with the EJ team has been contributing to the permit challenge on a Brine Pit for the South Houston Concerned Citizens Coalition. 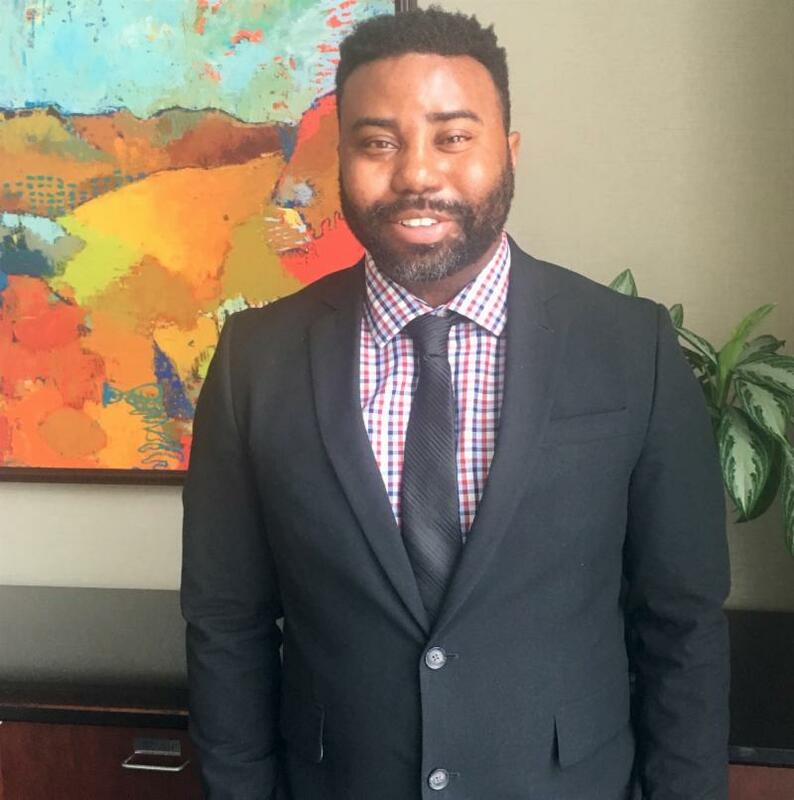 NeSmith has enjoyed all aspects of the work - conducting the document review, reviewing and supplementing citations for the public comments, reviewing the record and then crafting a researched analysis, as well as assisting with the response to the opposing party's brief. “What has caught my interest is the very real passion that LSLA attorneys have towards their work. 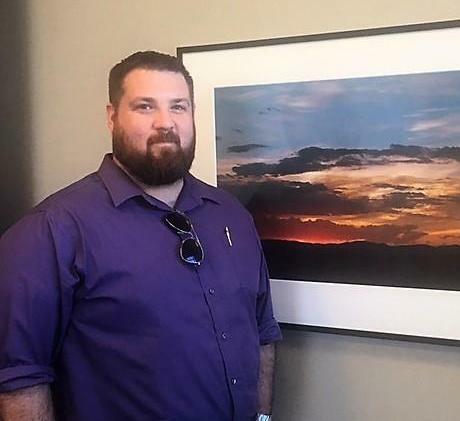 I always feel that environmental law is so important to the survival of this planet, and being able to accomplish this with a team of strong, focused attorneys has made me feel proud to have even been considered to contribute,” shared NeSmith.